quote, from James Douglass: “Butch Burroughs, who witnessed Oswald’s arrest, startled me in his interview by saying he saw a second arrest occur in the Texas Theater only “three or four minutes later.” He said the Dallas Police then arrested “an Oswald lookalike.” Burroughs said the second man “looked almost like Oswald, like he was his brother or something.” When I questioned the comparison by asking, “Could you see the second man as well as you could see Oswald?” he said, “Yes, I could see both of them. They looked alike.” After the officers half-carried and half-dragged Oswald to the police car in front of the theater, within a space of three or four minutes, Burroughs saw the second Oswald placed under arrest and handcuffed. The Oswald look-alike, however, was taken by police not out the front but out the back of the theater. What happened next we can learn from another neglected witness, Bernard Haire. This account has been disparaged by the “Oswald-did-it” contingent. When Haire was told in 1987 that Lee Harvey Oswald had been brought out the front of the theater by police, he was shocked. 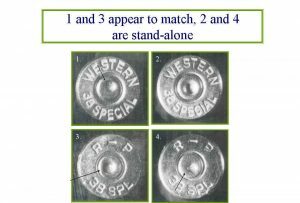 TWO kinds of ammo casings were found at the scene! Two kinds of guns were used to kill Tippit! One was an automatic, the other a revolver. A wallet with Lee Oswald’s name and ID was “found” at the Tippit shooting site, but Oswald had a wallet on him with his ID at the Texas Theatre. Who carries two wallets? 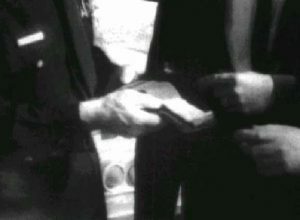 [It was planted] This “2nd wallet” quietly disappeared when the other wallet was mentioned on the police radio when Oswald was searched in the police car. FBI AGENT ROOKSTOOL WROTE THE TEXT–BUT HAS A CONFLICT OF INTEREST AND WAS NOT A WITNESS. THE SECOND SIGN WAS WRITTEN BY AUTHOR DALE MYERS, WHO SELLS HIS BOOK ON TIPPIT’S MURDER ON THE OFFICIAL ‘TIPPIT SIGN WEBSITE’–ALSO A CONFLICT OF INTEREST. Acquilla Clemons may have seen a man in what may have been a brown shirt, reloading his gun and briefly talking to a young male across the street, but though that person did not seem to be an accomplice, two facts are certain: (1) Clemons was threatened by someone with a gun who she believed was a government official to ‘keep her mouth shut’ and she feared she would be killed if she kept speaking about what she saw, and (2): it was clear the gunman she saw was too heavily-built to have been Lee Oswald. 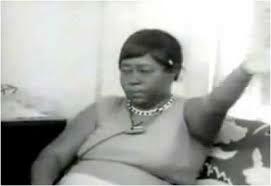 In addition, she never identified any photos of Oswald as the gunman. Fearing she would be fired by her employer, as well, Clemons avoided most interviewers. Butch Burroughs was precise as to when the movie at the Texas Theatre (‘Cry of Battle’, not ‘War is Hell‘)began –at 1:00 PM. Lee Oswald bought popcorn from Burroughs before 1:07 PM. The Warren Commission said Oswald shot Tippit at 1:16 PM, while others made it clear the shooting occurred at about 1:06 or 1:07. Others also saw Oswald in the theater too early to have been involved. Note: distance to the Texas Theatre was .6 – .7 of a mile away. Lee Oswald was supposedly seen by his Beckley Avenue boarding house housekeeper, Earlene Roberts (who was blind in one eye) entering the house and going to his room, emerging wearing a tan jacket. While inside, a police car came by with the numerals “1” and “0” –Tippit’s squad car was “10.” A size small police jacket (Tippit was size large) was hanging in the car, which Roberts might have thought was a second policeman. Soon after, “Oswald” (it may have been an imposter because he did not speak, whereas witness Pat Hill said “Mr. Lee” was always “polite and always answered us if we spoke to him”– perhaps because his voice was different. At any rate, Oswald or an imposter then stood across the street at a bus stop at about 1:05 PM. The Tippit shooting site was half a mile away at that time. 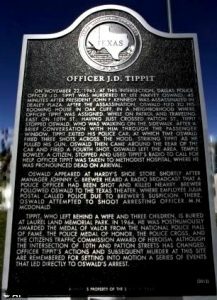 Either way, Oswald could not have been at the Tippit shooting scene at the time the engraved sign says he was. THIS DALLAS SIGN ACTS AS LEE OSWALD’S JUDGE & JURY, WITHOUT A TRIAL, IGNORing OUTSTANDING EVIDENCE SUPPORTING LEE’S INNOCENCE. HELP US REPLACE THIS SIGN WITH ONE THAT GIVES THE TRUE FACTS. JOIN us to get justice for Lee! GETTING JUSTICE FOR LEE MEANS GETTING CLOSER TO JUSTICE FOR PRESIDENT JOHN F. KENNEDY. Before all of us who are witnesses are dead, help us set the record straight! Write to JFKConferences@gmail.com and join FRIENDS OF LEE HARVEY OSWALD. ==CONTRIBUTIONS CAN BE MADE ANONYMOUSLY, OR WITH YOUR PERMISSION, WE WILL ADD YOUR NAME TO THE ROLL! 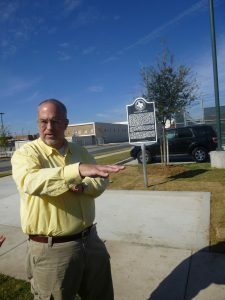 RAISE $1,800 TO REPLACE THIS SIGN WITH ONE THAT REMOVES THE ‘MAKE-BELIEVE ROUTE’ CREATED BY FBI AGENT FARRIS ROOKSTOOL AND ENGRAVED ON THIS SIGN – A ROUTE NOBODY EVER SAW OSWALD TAKE, AS WELL AS THE LIE THAT HE KILLED TIPPIT. A 2ND SIGN ALSO EXISTS THAT NEEDS REPLACING! THE CASE EXONERATING LEE OSWALD WITH MORE ESTABLISHED AND KNOWN FACTS, AND OUR LEGAL WAY TO CHANGE THESE SIGNS, WILL BE PRESENTED BELOW SOON.